Hi!! Welcome to My Little Section of the Internet! I love to read cause I love to learn! 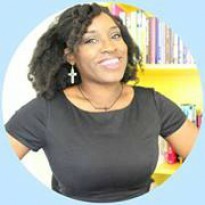 I'm a Life Coach, youtube personality, family life researcher, photographer, and of course a reader! Follow me & tell me your favorite books! "Is that really what my hair looks like from the back?" I've never read or watched Harry Potter. Hope everyone is having a great week!! PS Hermione is sooo awesome! I love that girl! If you haven't checked out my latest podcast where I talk about why I couldn't finish books like Bossypants, The Mortal Instruments, etc. then check it out here!